Getting excited for the annual basketball game on December 8th!! 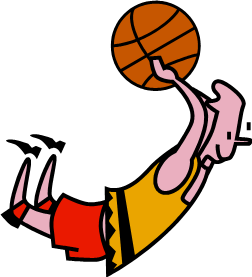 Our annual, much-anticipated Merriam Staff versus PTO basketball game is coming soon on Thursday, December 8th with doors opening at 5:30 PM. This event is a fun night of silly basketball, loud cheering and yummy food. – ATTEND: Pre-order your ticket or buy it at the door – you don’t want to miss out on the fun! – PLAY: You don’t have to have basketball skills, just be ready to have some fun on the court! Contact Claudia Hardy at klaudjak@gmail.com to join the PTO team. 5th and 6th Graders? We’d love you to play too! Follow this link for details! From the Food Services Office – Your October Menu!